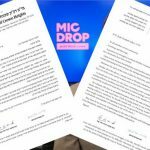 With the Mic Drop trend quickly gaining momentum, and the recent controversy over a Mic drop event that had been planned to include local people, much confusion has reigned over what effects might result from such an event. 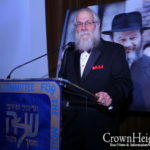 Rabbi Shea Hecht, author and Rabbi with experience in psychiatric therapies and cults, spoke with CrownHeights.info over the issues and unforeseen consequences of these types of events. Rabbi Hecht continued on to explain that these forms of therapies have been proven not only to have no positive effect, but rather to have long lasting damaging effects. When someone gets up in public and speaks of their inner struggles and thoughts, they have given power over themselves to others, Rabbi Hecht warned. Similar to a cult, the Mic Drop hands the persons inner fears to others, and provides no protection. Unlike group therapy sessions, which are guided by a professional psychiatrist, and information remains private, the Mic Drop event is run by a man with no background in psychiatry. The information shared at these events are not only public, and are disseminated on YouTube for public viewing. Hashem has given humans being the important safeguard that others have no knowledge of their inner thoughts. The Mic Drop attempts to break that safety net, spreading a persons inner thoughts into the public sphere. Rabbi Hecht went on to warn of an even greater issue that can emerge from that sharing. The damage that such a release of private information may cause, can have many unforeseen consequences. Private family information can hinder many from finding a shidduch, while such an open forum of thoughts, can brand a family and leave a stain that can last for generations. We all have personal issues and problems, but they are personal and should not be shared publicly. Problems and issues are much more successfully addressed with professional counselors, mashpi’im and therapists. Rabbi Hecht drew a parallel to this with the concept of public confessions, something that is soundly rejected in our community. As in anything in the Frum community, a Rav should be consulted, regarding questions pertaining to Halacha. why not have a Jewish Jerry Springer Show???? It is entertaining and some get a moment on the soapbox. thank you Reb Shea for speaking out. From the few videos i have seen, mic drop speeches often contain values that are not lefi hatorah. It’s very said to see a lubavitcher be so proud how she will not help someone when she doesn’t get the proper credit, and that this is ke’eilu a groise male. whatever happened to anovo, lishmo etc. I am trying to picture reb mendel futerfas or reb nissan listening to these speeches. they would not be able to believe lubavitchers were the one’s delivering them. Very sad. I’ve been saying exactly this…but with call of the Shofar they did not manage to convince a Chabad journalist. This time however the cult leaders managed to convince a Chabad journalist which made it kosher…sad. But no one said this is Kosher! It’s a pig sitting in the mud waiving is hoof in your face screaming it’s Kosher because to say otherwise is repressing women. Such a shame these women have been so tainted by the secular world that they believe they can even rewrite our holy Torah. I was a big supporter of MicDrop and even attended one of the courses. Unfortunately its gone from being an interesting derech in public speaking that could have a debate on if its good or not to today its clearly moved in a bizarre direction and now its all about how controversial they can be and which ‘influencer’ they can get on a stage to say a more shocking story than the previous speaker. You lost me when you said it’ll ruin shidduchim. If some of these speeches were given at the kinus nobody would say boo…. You need to ask a Rabbi about these things. Just like a person doesn’t run into the street thinking he trusts Hashem will protect him and a person doesn’t either walk around with fear that he’ll get hit by a car if he’s behaving carefully, the same is true here. One doesn’t have to walk on eggshells because of Shidduchim. At the same time there’s a healthy and acceptable level of caution that one should have around these things at least to the degree of not taking away all healthy levels of protection on naturally personal matters that are inappropriate to share with the whole public and place them on YouTube. There’s healthy discretion that isn’t rooted in fear, anxiety, and lack of faith in Hashem. No! Its the lack of faith In Hashem that people hide away their problems for the sake of shidduchim, when at the end your going to marry the exact same person that was seperated from you at birth ( you know the one that was called out by the Almighty G- D before your soul came into the world) for G- D created time and space and knows exactly what will transpire in one’s life before and after. Shidduchim are not tolou on the shadchans or the “expert Rabbis” that show up for the action. All this is a sign of Moshiachs imminent arrival when the truth will be know in the world. Not everyone is zoche to their shidduch hagun. Sometimes you just blow it. Sometimes you marry the wrong person, if you’re lucky you may the right one. Good for you that you STILL keep the TRUTH within you, while unfortunately so many have lost it! They believe it’s a pants and skirt match – not souls. it’s so sad. Keep it up! Forget about Shiduchim, this is simply against halacha! End of story. And if a Rov forbids it then it’s TREIF!!!! Had this feeling. Although I support the people on stage, something just didn’t feel right about MicDrop. So you can just do whatever it is without any regard to your behavior when it comes to Shiduchim, healthy, Parnassah, and everything else because it’s all determined at birth? However difficult the answer to your question may be, I hope it’s clear that it doesn’t lead to the above conclusion. we all use the tiolet, yet its not discused publicly. certain things are private, and need not be discussed in a public forum. but says it like it is. So refreshing. May the voices and spiritual power of our community continue to sound the alarm to refocus our attention to the paths charted for us. I don’t live in CH but very greatful there are alternative news websites. I wish you greater success and hope chabad “journalists” don’t confuse their very important place and leave activism and ideology to the men and women who have earned their voice through those areas. 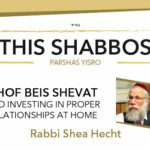 Is Rabbi Shea Hecht overreacting just a tad bit? Call of the Shofar had a cult leader along with a non-Torahdik theology and practices. MicDrop has none of that and seems it is like Ted Talks. It doesn’t male claims that MicDrop speakers will have their problems solved nor does it encourage audiences to join in any cult-like activities. They are just talks from different kinds of people with different perspectives. I cannot see any harm in that. In fact I suggest That Rabbi Shea Hecht do a MicDrop talk about cults. But you are not cute at all. This is horrible and dangerous on some many levels. Gee I have been wracking my brains all night trying to come up with some really difficult times in my life. I had to dig into the recesses of my brain searching and altering as much as possible so that when I get up on stage I will hopefully be the most interesting one yet. After all isn’t it all about getting the attention I so badly crave? When a Rov says it’s wrong and forbids it, regardless of whether you see anything wrong with it or not, ITS 200% WRONG!!!! GREAT ARTICLE!! Thank you for posting this! I agree! The girl who grew up in shocking poverty – her piece was very well written and it really shows how a person can rise above their circumstances. But i hope her parents aren’t around to hear this because on a public stage they have been called out for child abuse aka neglect. It painted lubavitch as a very cruel people who would allow a little girl to have a closet as her bedroom without anyone caring that her basic needs were met. Sadly, she meant well, but I don’t think she realizes the firestorm she just unleashed on her parents. Her parents will now be seen by the public as abusive (and rightfully so). If Merkos can kick out a shliach for visiting the vatican, they can kick out these parents for this unspeakable child abuse and neglect. This site gives clarity to the issue (I am quite disappointed at other sites, on this issue). Finally we have a site that cares about Halochoh! The pretenses of this article is false. Micdrop is not about therapy. It trains people how to speak and connect with an audience. I hired Rosh to help me communicate for my business and it has been amazing for me. These people aren’t just speaking. They’re revealing very personal things. So it doesn’t seem honesty to say that it’s just about speaking. I fail to understand: if the Rabbonim said no, why any discussion. They are the Morei d’Asra. It’s a poshete chilllul Lubavitch that ‘the show goes on’ with all the fanfare after the psak was publicized for all to see. we are oif kehakte tzaros. This is 40 years ago in the village. Isn’t it exciting we finally made it! A bunch of spoiled attention starved people – these are mothers raising a family?! What can we hope for with the next generation? Disgusting that a few comments made here compare this to the shuchos! Most of the shuchos are hard working selfless women and these cry babies are a bunch of selfish not yet fully matured women. The girl who complained about growing up poor – how utterly disgusting! Try reading some books on the holocaust and that should give you a good healthy dose of what to appreciate in life. Feh Feh Feh is my final word. Please whoever is promoting this…..
GET A REAL LIFE AND START DOING FOR YOUR NEIGHBOR AND RELATIVE AND YOU WILL AUTOMATICALLY BE HAPPY. Another way of looking at it s that her parents were ibergegeben and poverty stricken, yet raised such a wonderful daughter. A good lesson for all the selfish spoils brats of all ages. Get real people start opening your eyes…. To all of those who commented, and made fun about “shidduchim “. You must have not married off any children yet. Because anyone who did, knows that everything affects your Shidduch. Your last name, where you live, which seminary you went to (or where you did Smicha) and “al achas kama v’kama” If you have issues in your family. So all you brilliant people telling the whole world your problems, I wish you and your families a lot of Hatzlocha when trying to make shidduchim. And those considering this, be wise and stop while you’re ahead. Hatzlocha to all! To all those that are worried about these women making shidduchim… Quite funny that you actually think they will care about some community standard regarding shidduchim… clearly they dont fit your mold. they dont WANT to fit your mold and chances are there kids wont want your mold either… So all this trying to make shidduchim stuff amazes me… there is no family devoid of their own drama when making shidduchim you just might be too blind to see it…. Interesting how the other news site conveys ‘fake’ or controlled news about this subject. I tried to post a comment that wasent all complimentary about the event , but only the positive and supportive ones were allowed to be posted. These poor girls are being coaxed into revealing their inner feelings to the public by a tv personality. He is dreaming of being famous and he is using the holy Jewish women to attain his dream. This is worse than #me too. It seems to me the organizer is manipulating these women into believing this is healthy. These women are not for sale. He should be ashamed of himself. And for our children to look up to these women is a danger. Unfortunately the Rabonim have lost their ability to be looked up to. number 31 who brings up how the other site controls the news is so right! but this is not new, and i can go on about this. they have an agenda to swing דעת הקהל to a certain modern world view. so whenever and issue that has to do with סוגיות such as צניעות etc come up, they allow a few comments conveying “right wing” views, just so that a heated discussion can develop and bring in hits etc. but make sure that ultimately the majority of comments fit their agenda, so that people think that דעת הקהל is in agreement with them. I have many proofs for this. I have some issues with this site too [such as sometimes allowing comments with לשון הרע about private people, and sometimes giving links to things not tznisdik enough etc], but I never got the feeling that there is a hidden agenda on this site. The issues are a result of lack of guidance and awareness, and i also feel there has been improvement lately, and therefore hope that it will improve even more over time. the other site on the other hand seems to have a bad “agenda”, and slowly slowly, after managing to brake more and more גדרים מקובלים, they just get worse and worse. I wish all Yidden well, and have nothing against them personally, but am really pained by the state of Lubavitch at this time. I find RabbI Hecht to be a practical and rational person in many regards. However at what point do we stop blaming outside influences, call of the shofar, micdrop etc. And ask ourselves what internally with our system is not giving us adults, young adults and teens the means to not need this programs to find purpose and meaning? I see article after article stating the evils of these external programs and ideology. But never one saying the schools, yeshivas, shuls and community need to start coming up with solutions to give our us and our children the tools to be healthy both in body, mind and spirit. It is a Jewish/Chabad Maury Povich Show! Much better than Jerry Springer Show! Every kook gets to be on stage and tell us how dysfunctional they are! Plus it makes me feel good about myself, because I ain’t half as messed up as these folks!! Thank you Crownheights.info! Fantastic website! I see not much difference between these talks and all the talks they had of BT’s all those years before social media. Getting up and telling your story, your struggles etc. How is that not Chassidic if we did it all those years? My anti-micdrop comment was not posted either!! I knew micdrop didn’t feel right- thank you for explaining why!! Shea Hecht is not afraid to tell it like it is. This is a very insightful piece. Lets be honestly this will hurt sidduchim thats the fact, pls keep these things bet you and ur mashpia & not fill our girls head with crazy ides! This can be very dangerous. bringing up past issues needs to be done in a medical professional environment. When did consulting a Rav, come to mean, being controlled by a Rav ? Should the community speak out about child abuse ? lack of local elections of the CHJCC? lack of public meetings from the CHJCC about crime ? vaccines to prevent children from getting sick ? At one point is this about control. At what point is the pot calling the kettle black when it comes to calling out a cult ? Thank you to Rabbi Hecht and the CH Rabonim for taking a stand. From personal experience with micro their agenda is Perikas Ol! They have NO RESPECT for tznius and thrive on controversy because “Controversy Sells”. Mr. Rosh Lowe might be a good public speaking coach on a personal level but the micdrop event controversy that him and his partners created to sell an event that wasn’t selling came back to bite him. He tried using the Rebbe to further his agenda and used women’s dignity and turned it into “oh women are being silenced” when NOT speaking was THE WOMENS CHOICE. It was sobering to realize that I’ve been lured into a trap and was being used to further an agenda that goes against everything we believe in. We are NOT victims! We have dignity! This filth is hurting the frum community as a whole and lubavitch directly. We dont wash our filthy laundry in public, as a matter of fact we say “ma tovu oiholecha yaakov” every morning in brachos, and the reason is because the yiddens tent entrances were facing the opposite direction from each other to keep tsinus and privacy. Nothing should be different today and we should stop shaming our torah and our “masores” and keep the eidelkeit we grew up with. Rush Lowe and by extension, anyone affiliated with this shameful heptachlor hatorah show should know that they are playing with Fire! mic drop is dangerous…period. its one things to discuss personal issues, with ur mashpia its another to do it before an audience on youtube. this is the same for men & women. we dont air our dirty secrets in public. how can we clap at people that declare on mic that they desecrate the torah!! obviously we don’t look to dismiss torah desecrators they are still jewish and still deserve our love but why should be clap them and tell our kids how brave they are!! shea is 1000% right, this is a sickness that must be stopped. rosh pls take this poison out of our community. There are now individual mic drop clips of these women appearing on youtube which is a terrible chilul Hashem! Rabbi Hecht speaks with authority as if he’s been trained in any psychological discipline. He has not! He may give counselling to troubled youth but this is anecdotal. As well, I think his RED yarmulke is more offensive than MicDrop. Anyway; it’s fun reading these blogs they offer more insight into a very confused community. Thank you Rabbi Hecht. You hit the nail on the head. You are often ahead of the curve (months later, others who have none of your life experience realize what you were saying) and this is no exception. The lead promoter than posted a video saying that she would pay no attention to the rabbonim, as her mission is “to give women a voice.” Speaking in that venue cheapens their voice, just as a self-respecting man wouldn’t share the stage with women haters. And to see everything through the lens of men vs. women is a harmful sickness that has turned both against each other, to the detriment of the Jewish future. The lead promoter is now busy fomenting more strife between men and women, using her platform to promote an article from Haaretz that adds to the problem. Enough is enough. It’s time to stand up. Firstly it seems that Rabbi Shea Hecht was misquoted.He now says he did not compare MicDrop to Call of the Shofar. 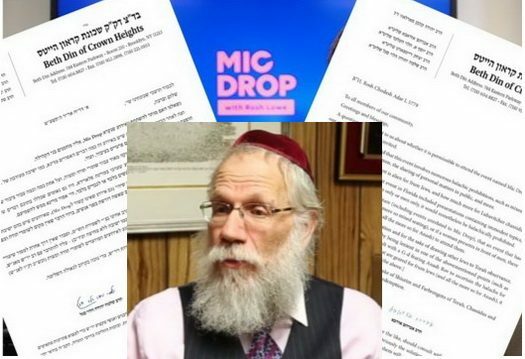 More importantly however is the fact that the founder of MicDrop Eli Nash has modified the structure of the events after consulting with the Rabbis who went public with their Halachic concerns. Mr. Nash is to be commended and hopefully we will witness the strengthening of our Lubavitch communities. That is my biggest problem right there. Someone with a big microphone is nogeia b’davar, involved in the very micdrop that is under question, should at least TRY to appear objective. Not use a voice against it as just an opportunity to sell more tickets. The situation could have simply been settled with “you have your rav that assurs it, I have others to rely on to permit it” just like everyone understands how some get to eat kitniyos on Pesach while others don’t get to eat all kinds of other things.